normal PC has no way of affecting what is happening around it. It can’t turn on the lights, or make the room hotter. How do we change what is happening around us? We use our muscles to move things, press things, lift things, etc. (and we can also make sound using our voice). 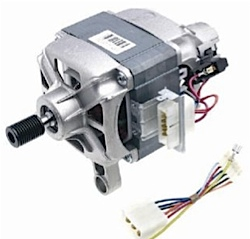 An actuator is a device, controlled by a computer, that can affect the real-world. Actuators are used extensively in computer control systems. For example, the motor in a washing machine can be controlled by a computer - it is switched on when the clothes are loaded for washing andswitched off at the end of the wash.
A pump is basically a motor attached to a device that can push water or air along pipes. When the motor is switched on, water or air flows along the pipes to places it is needed. 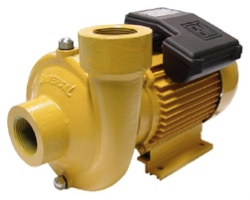 Pumps are used in many places: as part of watering systems in greenhouses, in factories, etc. For example, the buzzer in a microwave oven can be switched on by the controlling computer when the food is cooked. 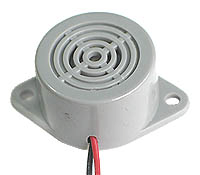 Louder noises can be made using a siren or an electric bell, for example in a burglar alarm system. Lightbulbs and LEDs can by used to provide light, or to indicatesomething. For example, computer-controlled lights are used in traffic lights, at music concerts. 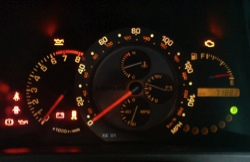 Lights are used in car dashboards to show if the any of the systems in the car have problems. Heaters can provide heat, and coolers can cool things down. 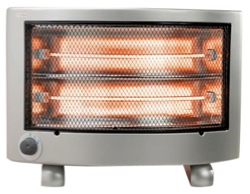 A computer can switch a heater on or off when needed to keep a room or agreenhouse at the correct temperature during winter. A computer can switch a cooling unit on or off to keep a room at the correct temperature during hot weather, or to keep food fresh.